On this episode of “Dugout Blues,” Jared and I recap Game 4 of the NLDS against the Braves and — spoiler alert — preview the NLCS against the Brewers. Now to Game 4. It started off well enough with a Manny Machado RBI double. Rich Hill was doing well until the fourth inning when he got into trouble and allowed a 2-run single to Kurt Suzuki to give the Braves a 2-1 lead. Hill was out in the fifth inning after loading the bases (after Machado booted a potential inning-ending double play ball) and Ryan Madson (of all pitchers) put out the fire and kept the game at 2-1. Then, David Freese happened. He got the call to pinch-hit in the sixth inning and delivered a 2-run single to give the Dodgers a 3-2 lead. It seems like he’s really good at hitting in the postseason. In the seventh inning, Machado had a chance to redeem himself with two runners on. He fell behind 0-2 in the count after taking two fastballs. He battled for a few pitches before launching a misplaced fastball into the left field seats. That gave the Dodgers a 6-2 lead and, for all intents and purposes, ended the series. The bullpen finished the job, culminating in Kenley Jansen looking like 2017 Kenley Jansen. 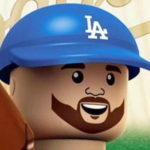 If he can be that guy for the rest of the postseason, that would be great news for the Dodgers. Following the recap, we look forward to the NLCS against Milwaukee. It’s going to be an interesting matchup between the team with the best record in the NL (Brewers) and the most talented team in the NL (Dodgers). It should be a good one. Jared and I give our predictions toward the end of the episode.